Stop me if you’ve heard this one before. 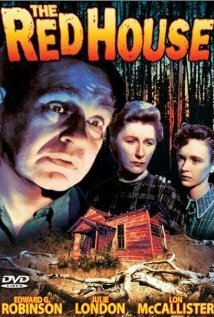 Ten reasonably attractive friends arrive for a Rocky Mountain winter holiday at a tacky, pressed board condo that looks like it was built from a kit an hour before filming started. There is no one around to meet them. The loser lodge is a veritable Marie Celeste, with meals left half-eaten on the table. And they can’t leave because all three cars are almost out of gas. One by one, the vacationers start to vanish. Once that happens, you can choose your own adventure, and it will undoubtedly be a big improvement to the dramatic course charted by writer/director Travis Oates. 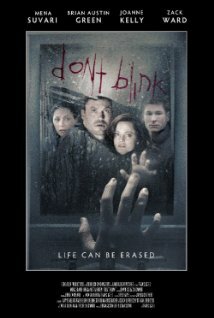 Don’t Blink stinks. It stars Brian Austin Green and Mena Suvari and is easily one of the most half-baked, pointless exercises in film I’ve seen this century. 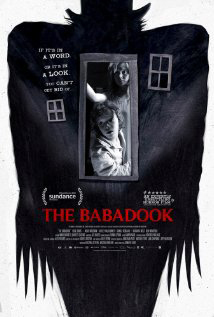 Simply put, The Badadook is one of the most emotionally devastating horror movies I’ve ever seen. It’s a brilliant film that manages to be both a dark, heroic fairy tale and a grimmer-than-grim slice-of-life family drama about an overworked mother who tries, but can’t cope with her eccentric son’s disturbing behavior anymore. It’s also about a terrified young boy who’s mother might be going insane. Amelia (Essie Davis, who shines like a young Jessica Lange) is the harried widowed mother of Samuel (Noah Wiseman), a clever but damaged young boy who doesn’t fit in at school or with friends. Amelia’s husband died in a car accident on the way to the hospital the night she gave birth, so she too has a dark cloud of unresolved issues that follows her around like a nervous dog. The combination of Amelia’s waking, working nightmare of a life, and the additional strain placed on her by the malign presence that’s settled in her home creates an unrelenting pressure cooker that would crumble a commando. The Babadook is a film without gore and very little violence, that is nonetheless brutal, recalling both Polanski’s Repulsion and William Friedkin’s The Exorcist for its merciless plunge into the realm of madness. Australian writer-director Jennifer Kent presents us with a tale that cuts uncomfortably close to the bone, because she had the nerve to invent two characters who are believable, likable, sympathetic—and profoundly haunted. True, in the past, I’ve griped about movies that waste time on character development when all we really want is mayhem. The Babadook is exactly the opposite. It’s a realistic character-driven story in which we hope that misfortune can be averted because we’re emotionally invested in the protagonists. The bottom line, that bad things happen to good people, is more horrifying than a thousand dead campers.